A poster from the Porter Wagoner, White Stripes, Grinderman show at Madison Square Gardens in 2007, the year Porter passed. Porter Wagoner died my first day at Opryland. After a full day of onboarding, training, video watching, role playing and general Kool-Aid mainlining, I decamped, zombified, to my temporary housing in Brentwood and turned on the news to see Dolly Parton in tears. It was all over the news. Porter was a Nashville icon, and I’m pleased to say in his final days he’d played with both the White Stripes and Nick Cave’s Grinderman. By all accounts, Porter was a regular kind of guy, and was very fond of Nashville’s meat and threes, particularly Arnold’s. When Porter passed, it was Jack and Kahil Arnold that took care of the food. Jack and Rose Arnold are co-proprietors of Arnold’s Country Kitchen, a meat-and-three restaurant firmly schooled in the tradition of Hap Townes. Jack, a native of Asheville, North Carolina, came to Vanderbilt University in 1957. Rose, a native of Cartagena, Columbia, met Jack in Nashville in 1973. They married in 1974. 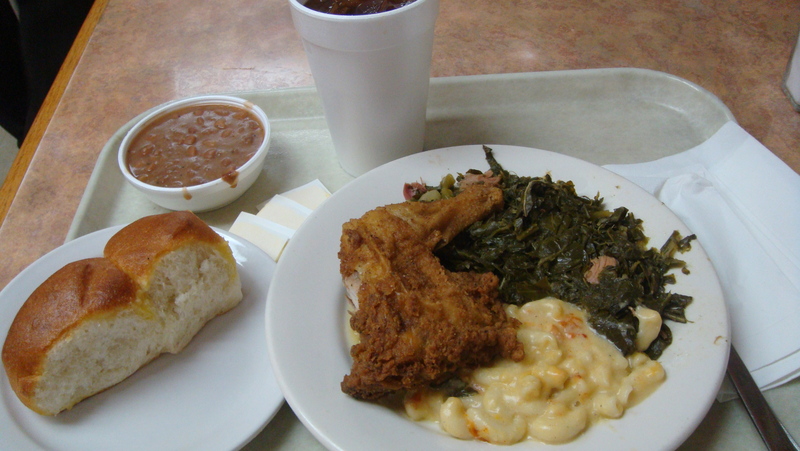 In 1983, Jack, who had worked his way through school in Vanderbilt’s dining halls, bought the cinderblock café that would become Arnold’s Country Kitchen. Soon, Rose was alongside, working the cash register. And so it goes. Come lunch on weekdays, Arnold’s dishes peerless greens and cornbread to both bespoke-suited lawyers and coverall-clad mechanics alike. 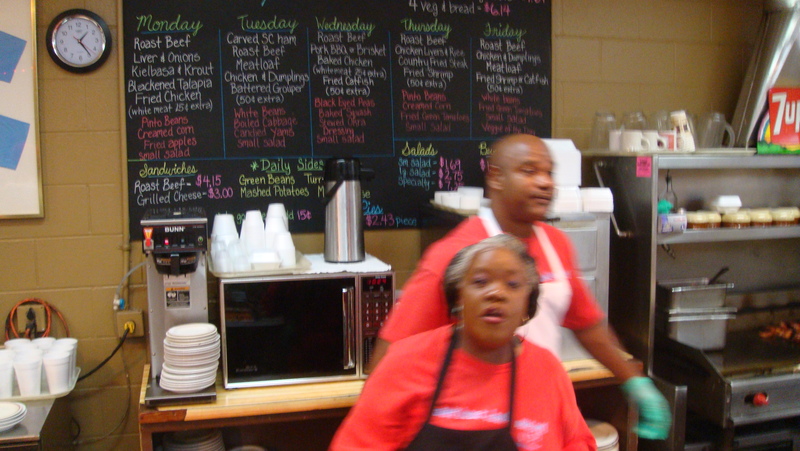 These days, it’s not uncommon to see Kahil Arnold manning the line and slicing Arnold’s famous roast beef. 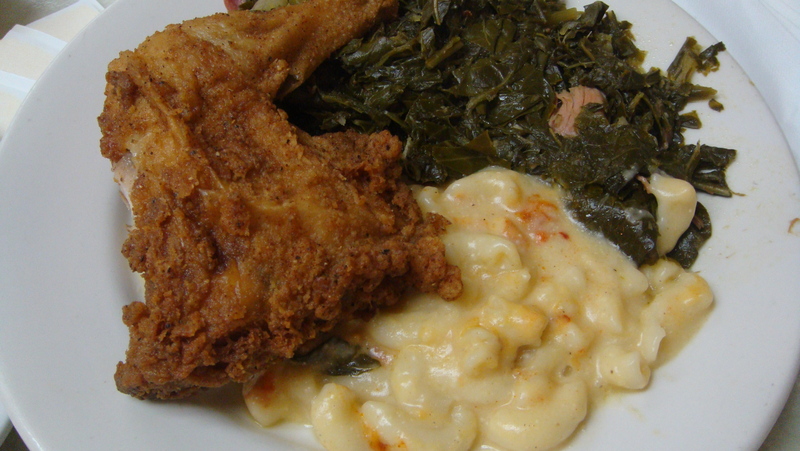 I frequented Arnold’s during my time In Nashville and never had a bad experience. 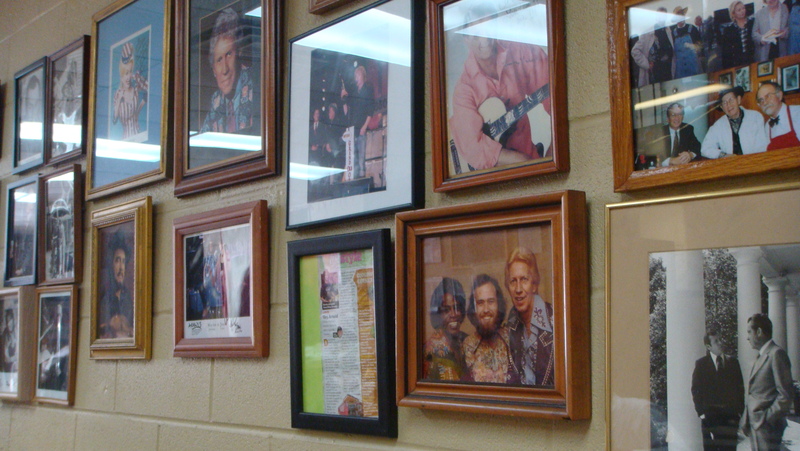 I almost always sat by the picture of James Brown and Porter Wagoner together in rhinestones. I would have liked to have been a fly on the wall the day that picture was taken in 1979. I got to know Porter’s son Richard during my time in Nashville, and he remembered the day that was taken. Richard has forgotten more about Nashville’s fabled meat and threes than I will ever know, but he always had great things to say about Arnold’s, their chicken, and that killer roast beef. 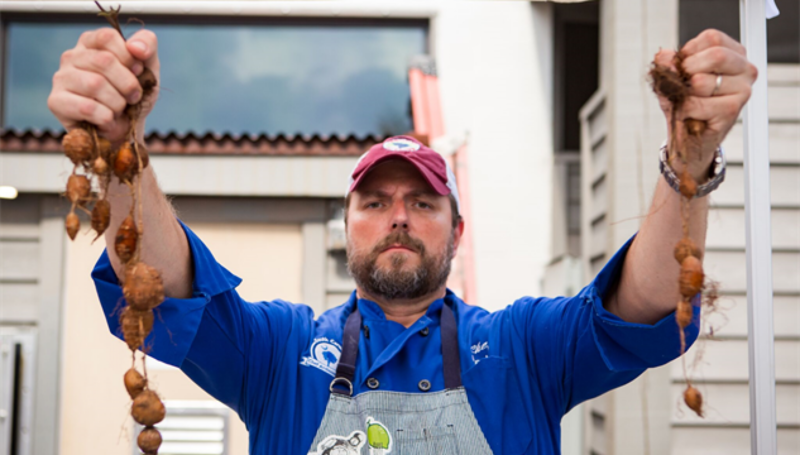 Watch the James Beard video on Arnold’s here.